Former Commerce Deputy Minister Miles Sampa is earmarked to replace National Development and Planning Minister Lucky Mulusa sources have disclosed. Senior Patriotic Front and Felix Mutati’s MMD faction officials met on Sunday 22 October 2017 to discuss the exit of Mulusa. According to sources, a scheme is underway to make sure that Mulusa is fired for likening the now infamous fire tenders to Wheel-burrows. ” There is scheme to hound out Mulusa and replace him with Miles Sampa. 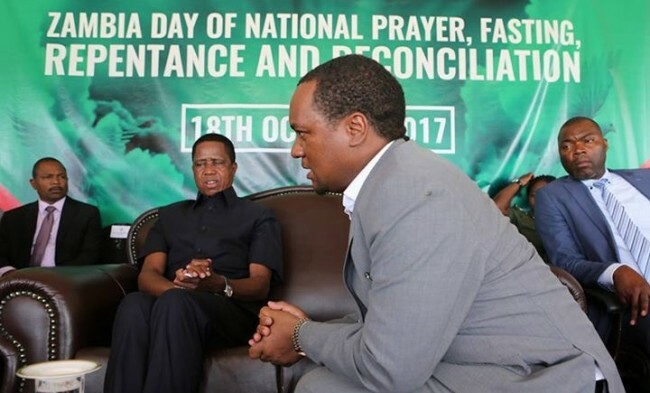 It has the blessing of Edgar Lungu himself. We actually met at Lungu’s Ndozo Lodge in Chawama,” one source said. Among the people that attended the meeting at Ndozo Lodge are PF Secretary General Davis Mwila, Presidential Affairs Minister Freedom Sikazwe, Political and Corruption Advisor to Edgar Lungu Kaizer Zulu, Sunday Chanda and Lusaka Province Minister who is one of the dullest PF Ministers Japhen Mwakalombe. Others are some chap who replaced Bowman Lusambo as MMD Die Hard Coordinator called Gerald, Benjamin Siwila and his team who have petitioned for Mulusa’s dismissal and Nelson Phiri the Commissioner of Police for Lusaka Province whose role would be to allow ‘spontaneous’ demonstrations against Mulusa.